'You know what would be a great book for book club? The Fault in Our Stars.' In addition to fulfilling all of the established criteria for book club title selection -- recent publication date, critical notability, interesting style and content, variation from the title preceding it in the roster -- The Fault in Our Stars rocketed to the top of my list of books-to-be-discussed because I couldn't imagine having that same conversation every time I mentioned book club for too much longer. Though I had read and enjoyed John Green's take on the teen-with-cancer story, and I genuinely relish swapping book recommendations with colleagues, there is a limit to how many times a person can hear something before getting the hint. As it happened, the group of people who turned up to the first meeting of this Lent term, when we finally discussed The Fault in Our Stars, brought a diverse range of opinions of the book. The chorus of recommenders was there in force, and continued to praise its relatively unsentimental approach to the subject matter, its humour, its stylistic elegance, and its emotional complexity, particularly in the relationships between the teenage characters and their parents. The 'ayes' were met, however, by an equally thoughtful chorus of skeptics, who found fault with the zippy, hyper-literate style of speech that pervades the first-person narration, as well as the perhaps cartoonish depiction of a major figure in the book's final act. 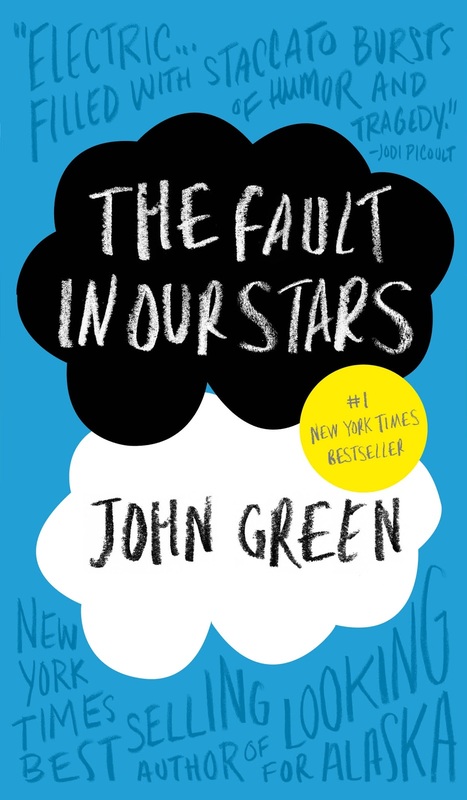 The resultant debate over the book's obligations, or lack thereof, to realism or, conversely, to aspirational fantasy, lead to a detailed examination of the role that references to a kind of "teen gospel" of "alternative" music, film, and literature plays in defining Gus and Hazel, and by extension of how John Green is attempting to insert himself and his books into that gospel through use of social media. That's what I call a satisfying use of an hour. As the person responsible for saying, 'Here. Read this', it's also a relief. Choosing the three books to discuss in our Children's Book Reading Group each term is always a combination of research, strategy, soul-searching, and beseeching--a bit like herding cats, really. It's always gratifying when that imprecise alchemy produces a conversation as rich as the one we had about The Fault in Our Stars. As I approach the task of choosing books for my final term as ringmaster for this lovely literary circus of ours, I am once again reminded of what a 'large, loose, baggy monster'* the term 'children's book' is, at least as defined by the relatively colloquial bounds we use for the group. How does one achieve an appropriate balance between young adult and middle grades, humor and tragedy, awards darlings and hidden gems, trendy and timeless, all while keeping a very discerning group of adult readers happy, or at least interested, and maybe even enticing new members to jump into the ring? 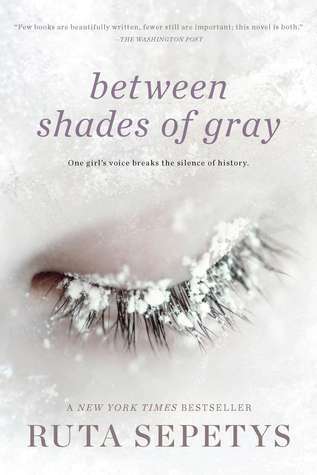 This past term, in addition the The Fault in Our Stars, we have discussed Dark Lord: The Teenage Years by Jamie Thomson, and will discuss Between Shades of Gray by Ruta Septys. The term prior, we tackled Tolkien's The Hobbit**, the short story anthology Under My Hat, and Hero on a Bicycle by Shirley Hughes. Up next? I'm thinking we may have reached this year's limit for historical fiction, war stories, and fantasy, though I'm sure someone in the group can convince me otherwise if they're so inclined. 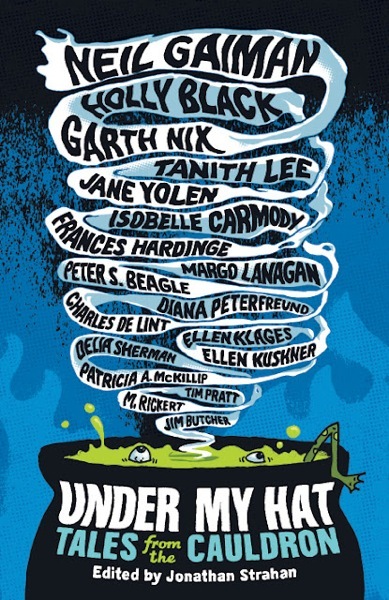 The experiment of discussing a collection of short stories was a middling success, but interesting enough to leave me inclined towards taking another break from the usual parade of novels. Perhaps a poetry collection could make an appearance in April? Or a non-fiction work in May? A graphic novel squeezed into June? Rather than fretting over the largeness, looseness, and bagginess of our genre, I think it's time to embrace it. In that spirit, as a first title for Easter Term, I'm quite drawn to Timmy Failure: Mistakes Were Made by Stephan Pastis, one of a number of American cartoonists to try his hand at the middle grades illustrated novel in recent months. I promise, it's not just because I'm in love with Señor Burrito, the crafty female cat who causes great consternation to our intrepid hero, nor is it just because I want an opportunity to revel in nostalgia for Calvin and Hobbes and celebrate the arrival of kindred spirits in eleven-year-old Timmy and his business partner, Total. It's more because I'm fascinated by a book that can raise a lump in my throat with a chapter comprised of a single, wordless illustration that comes slipped between moments of laser-sharp verbal and visual jokes. Besides, I can't fathom that trying to spark a conversation about whether or not Total is more than a figment of Timmy's imagination would be a bad thing. The Wimpy Kid series is too established at this point to be a natural fit for the group, but Timmy Failure is a perfect example of the experiments in novel/comic hybridity that have risen in its wake. Just as we as a group are working to embrace the multifaceted definition of 'children's books', Timmy Failure refuses to sit neatly in one little box. Phew. One down, two to go...come along Wednesday at 5:30 to join the conversation?